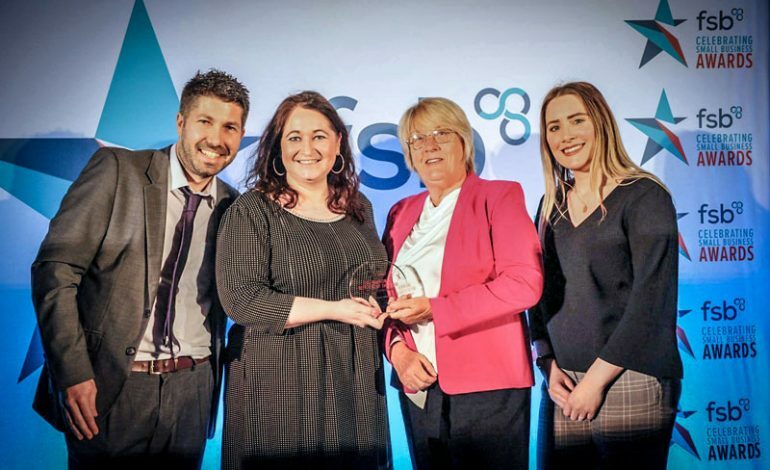 Crafter’s Companion was named International Business of the Year at the North East Federation of Small Businesses’ (FSB) Celebrating Small Business Awards. Following its award success, Crafter’s Companion will represent the North East at the FSB’s national ceremony in Battersea this summer. Crafter’s Companion has maintained a consistent financial performance by continually adapting its products and sales approaches. Throughout the last two financial years, consolidated sales have increased by 59% and export sales have increased by an average of 94% each year. The company, which currently employs 180 people worldwide, was also shortlisted in the ‘Employer of the Year’ category for the steps it takes to attract, develop and retain its employees. Sara Davies MBE, founder of Crafter’s Companion, said: ““Crafter’s Companion has grown at an incredible rate throughout the past 12 months so we are delighted to have been recognised International Business of the Year at the FSB’s regional awards. “The team has worked incredibly hard and it is fantastic that their efforts are being rewarded. “There are so many businesses flying the flag for the North East and the calibre of talent at the awards this year was outstanding. • Pictured (above): Ross Brown, head of commercial, Louisa McLean, brand manager, Anne Butler from FSB Insurance Service and Ashleigh Vincent, PR and outreach executive.